A little background since I have not yet covered this brand before. Born Pretty Store is a company that sells a variety of cosmetics items but is most well known for their nail accessory items. They also sell items such as cell phone accessories and other gadgets and gizmos. You can read their full "About Us" blurb here. These lashes were sent as a press sample so I have no experience on the customer service aspect of ordering from this company. Shipping does take a while to receive from them. It took about 2 weeks to receive my package and I did not receive a tracking number to stay up to date on where my order was. However, this may be different for those who purchase from the website. Shoot me an email if you want to share your experience! I found the packaging bulky and really tedious. This is a situation that I would store the lashes in a different container once using them. The tray was kind of annoying to remove from the plastic package and I found the tray unnecessarily big for what you get. I think that the packaging can be improved. 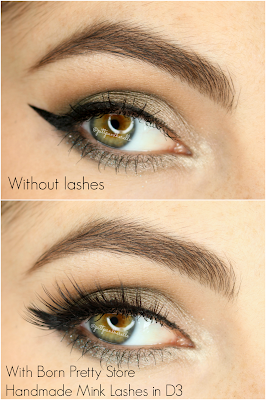 A word of caution: make sure the lash band is not too long. They will not be comfortable if the band is too long. The inner band will poke at your inner corners and make them sore. I couldn't even wear them for more than a hour, if I even wore them that long. I finally trimmed them down a small bit after being stubborn and not cutting them. I would say that I trimmer down maybe 1/4-1/3 cm. These lashes were not the easiest pair of lashes to apply because the lash band was not the most flexible. I waited around 60 seconds (with Koko Lashes lash glue) before I applied the lashes and the band was not the easiest to place on the eye because the band was not staying in place. This set of lashes will require the glue to get extra tacky so that the ends will stay glued down. I had an especially difficult time keeping the inner corners down and often had to add some House of Lashes lash glue to keep them down. The lashes had a medium to medium-thick lash band that required a bit of manipulation but the lashes felt lightweight once applied. These lashes were comfortable during wear time and I wore them for about 5-8 hours. They did not feel noticeable at all during wear and were comfortable when properly cut to the right length. None of the sides lifted during wear and the lashes came off easily with oil-free makeup remover. I lost none of the mink hairs through use and have proven to be durable. None of the hairs were bent or altered in any way after three uses, and they withstood my abuse. They look practically the same as the first day I used them. The quality of the mink hairs were soft and felt like real lashes. They add volume and give a very cat like appearance to the eye. These lashes retail for $5.2 but can be cheaper if on sale or with codes that can be used. These lashes are a fantastic quality for the price and are perfect lashes to try if you ever wanted to try mink lashes but don't want to commit to the $20+ they cost from other companies. 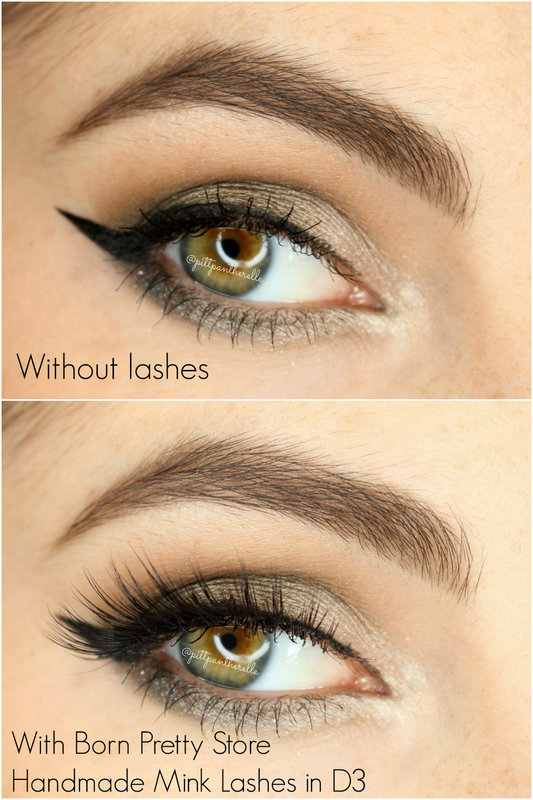 They are also great with any look that uses winged liner or just emphasizes the outer corner. These are pretty unique lashes to my collection. YES. 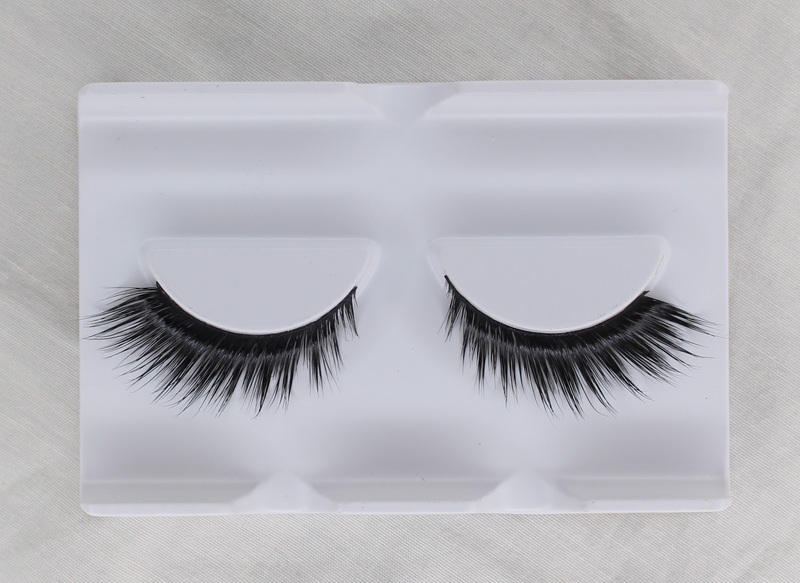 They are cheap mink lashes and are unique to my collection. This is the less dramatic and mink version of Koko Lashes Goddess. If you wish to purchase anything from the Born Pretty Store, here is the link to the false lash section of their website. You can save money by using my code "WLEH10." This is an affiliate code and I do get commission when the code is used so use it if you wish.